Let your imagination run wild with these foggy, spooky images of graveyards. Grieve not for me my life is past. My life with you not long did last. Tread softly. Dreams sleep here. A mausoleum is an external free-standing building (usually stone) with interment space above ground for the remains of many. It is an alternative to individual burial plots when land is premium. In the City of Granada, Spain, there are many such mausoleums where the coffin is placed in a niche above ground. The niche is usually rented by an entire family for decades to ensure that generations of family members are laid to rest together. If subsequent generations fail to renew the rental agreement and a lease is left to expire, the remains are often then buried. This niche also serves as a focal point for the 1st of November ‘Dia de los Muertos’, when respects are paid to those that have passed on that year. Si nada nos salva de la muerte, al menos que el amor nos salve de la vida. Spanish poet, Pablo Neruda. Translation: If nothing saves us from death, at least loves saves us from life. Funerals in Spain usually occur within 24 hours of the death. Word of mouth and notices posted outside the church are the only methods used to inform others of a funeral. Friends or family members hold a vigil in the Tanatorio (funeral home) staying the night with the deceased for one last time. After a funeral service the coffin is transferred to the local Cemetery, often accompanied by a procession of locals walking behind the hearse. There is no cure for birth and death, save to enjoy the interval. Spanish born philosopher, George Santayana. Vaults were created to prevent grave robbers from gaining access to freshly buried bodies, and were originally made of wood. 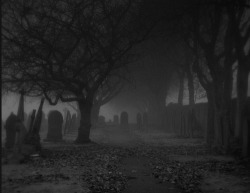 Coffins, the universal symbol of death and mortality, are most often placed underground with a gravestone as a marker. Nowadays, the vault is manufactured in metal and is inserted into the ground to prevent the earth and coffin from collapsing. Collapse of the coffin causes the ground to sink and makes maintenance of the cemetery grounds difficult. A sarcophagus is an elaborate coffin which can be created in any medium; wood, stone or metal. It is often only large enough to house one body, often someone of importance, and contains no window or door. It can also be considered a monument as it has a carving or inscription. A crypt is an underground stone chamber beneath a church, or in the wall of a religious building. Following entombment, the crypt is sealed, and a granite or marble front is attached. A tomb is very similar to a sepulcher in that it is typically underground. It can vary greatly in size and often holds the containers of multiple bodies. A sepulcher is a small room or monument, cut in rock or built of stone, in which a dead person is laid or buried. This term is also used to describe a structure with recesses in the wall to receive ashes of the dead. An above ground, large, free-standing structure is known as a mausoleum. It may be the resting place of an individual or a family group. It is often ornate with a small stained glass or open metalwork window. It stands as a monument and the more elaborate structures may have an interior chapel. A cairn or tumulus is a mound of earth and stones raised over a grave. An ossuary is a container or room into which the bones of multiple dead people are placed. The catacombs are a renowned example.